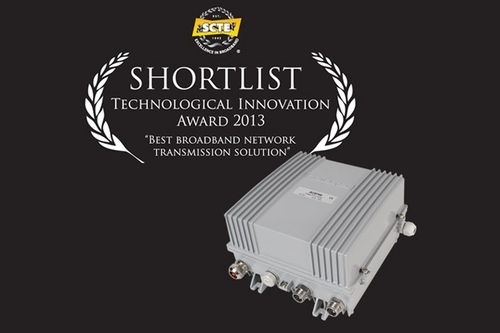 Teleste’s intelligent deep fibre node AC8700 has been shortlisted at 2013 SCTE Technological Innovation Awards. The AC8700 is one of the three entries shortlisted for the category of ‘Best Broadband Network Transmission Solution’. The AC8700 is part of Teleste’s intelligent networks concept that strives for running networks in the most efficient manner by cutting down operating costs and yet securing service quality. The AC8700 offers best-of-breed functionality for increasing data and video services distributed within HFC networks. The node is able to adjust itself automatically, effectively and at high data speeds. The automatic features greatly reduce the possibility of human errors, as well as time consuming and inefficient network operations. This makes the node both economical and easy to operate, and helps to increase customer satisfaction. Founded in 1945, the SCTE (Society of Broadband Professionals) is a Learned Society and non-profit making organisation whose aim is to raise the standard of broadband engineering in the telecommunications industry. The Society particularly concerns itself with the training and career advancement of technical professionals in the field. The winner of the SCTE 2013 Technological Innovation of the Year Award will be announced 23 March in London.